The Stetham RZ F1 Hybrid Celery is a new celery variety that grows very well in cool climes. 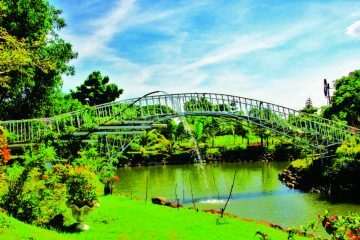 The Stetham RZ F1 Hybrid Celery was developed by the Allied Botanical Corporation (ABC) for planting in highland areas like the municipalities of Benguet. 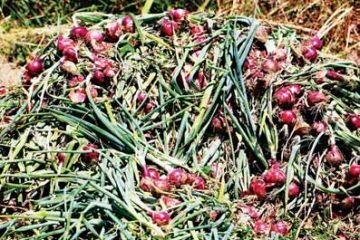 According to Aldrin Bassit, ABC’s Farm Operation Supervisor, the variety grows very well in the cooler regions of the country, particularly in high altitude areas where the temperature can drop between 10 to 13 degrees Celsius. During a recent harvest event and farmers’ meeting hosted by ABC at the Loo, Buguias campus of the Benguet State University (BSU), participants witnessed how prolific the variety was, and how attractive the darker green color of its leaves was compared with the leaves and stalks of other celery varieties growing in the area. 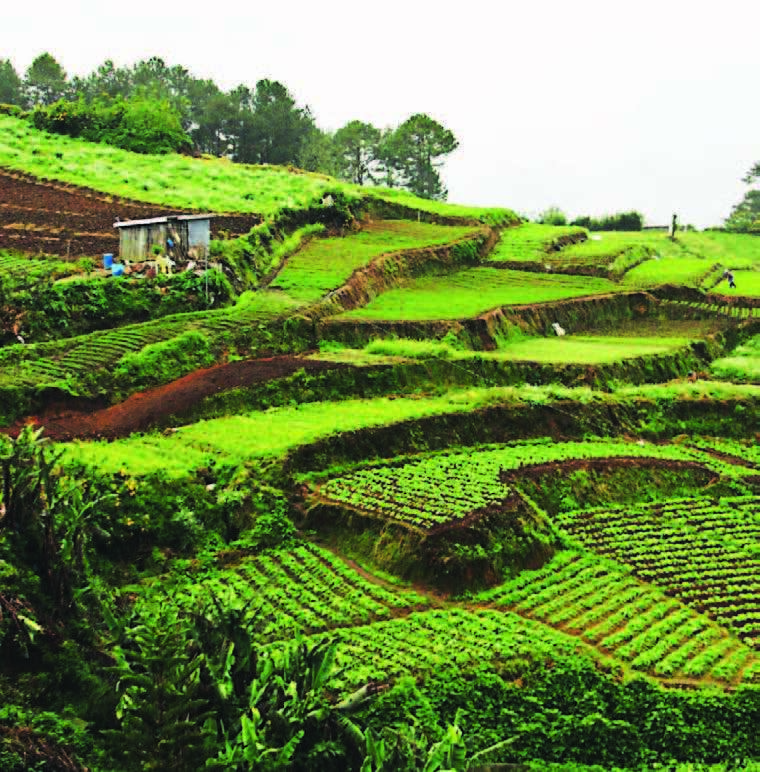 A portion of the vegetable terraces in Barangay Loo, Buguias, Benguet, where the Stetham RZ F1 hybrid celery variety thrives. 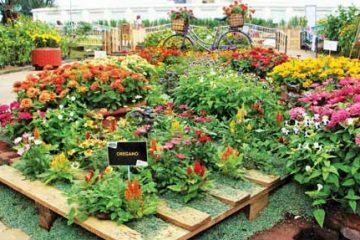 The variety grows very well in cooler regions of the country, particularly in high altitude areas. ABC market development technologist Jerome Becnan says that the Stetham RZ F1 Hybrid Celery is aromatic but with a light sweet taste. It features a long, heavier petiole, or stalk, but is not brittle, which makes it a dark green heavyweight plant. For his part, Bassit says that Stetham Celery has a higher recovery rate—about 85 to 90 percent—compared with other varieties which have 60 to 65 percent recovery rates. 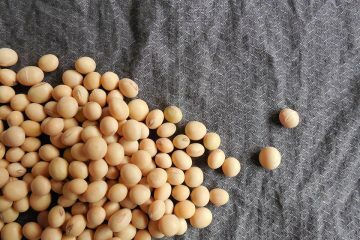 The variety is also early maturing, which means it can be harvested in just 60 to 65 days after transplanting. Based on the field trials conducted by agronomists on several vegetable terraces in Loo, Buguias, a head or a plant of the Stetham RZ F1 Hybrid Celery variety can weigh as much as 485 grams, compared with another variety which weighed only 283.33 grams. This translates into an additional weight of about 30 percent over the other varieties being cultivated in the area. 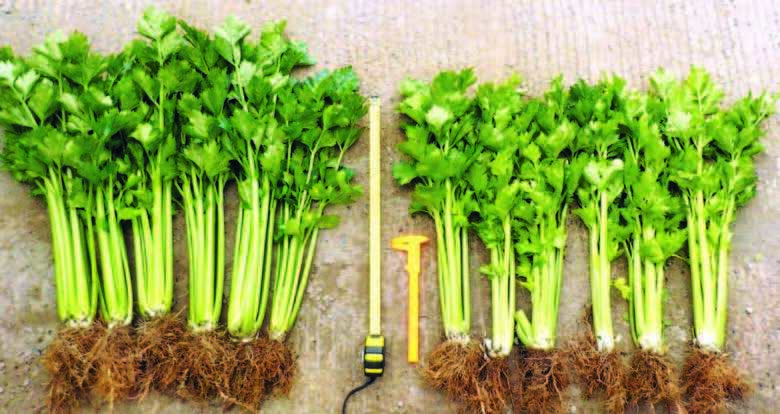 The Stetham Celery variety also features uniform root sizes which are very robust and healthy. Another advantage of Stetham Celery over other varieties is the number of stalks which can be found in a single head or plant. Stetham can average up to 7.9 stalks per plant, as compared with other varieties that only have about 5.4 stalks (based on the actual field trial in Benguet). A simple side-by-side visual comparison shows the advantages of the Stetham RZ F1 hybrid celery over the variety on the right. Estela Olsino, a farmer in Loo, says that the Stetham RZ F1 Hybrid Celery variety has good qualities, such as being crispier and having a longer shelf life. “This (longer shelf life) quality makes the celery marketable, and can command a higher price even in the local market,” Olsino said. She adds though that celery plants do need a lot of watering to make it resistant to leaf spots. 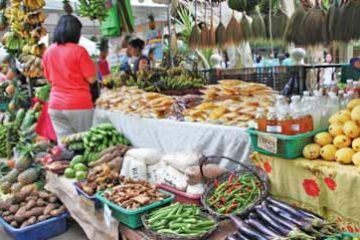 The uniform size of the Stetham variety also adds to the appeal and value of the vegetable in the market. 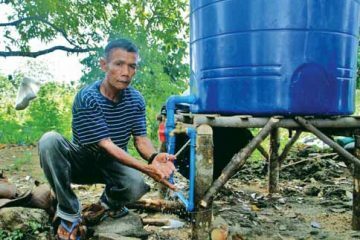 After the farmers’ meeting, Becnan introduced the celery variety to other vegetable growers in Buguias. Awed by the appearance and qualities of the Stetham celery, most of the farmers that participated in the meeting bought seeds of the variety, which they will cultivate in their respective farmlands. The Stetham celery variety has an upright plant habit, which makes it easier to harvest and pack. 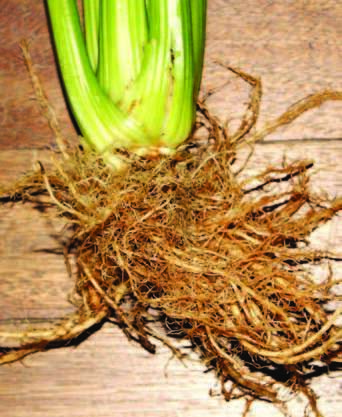 Stetham celery has uniform root sizes which make it robust and healthy. Whfoods.org website says that celery is an important food source of conventional antioxidant nutrients, including vitamin C, beta-carotene, and manganese. In terms of antioxidant nutrients, it may very well be described as its phytonutrients. Many of these phytonutrients fall into the category of phenolic antioxidants and have been shown to provide anti-inflammatory benefits. An interesting aspect of celery’s antioxidant phytonutrients involves its furanocoumarins. Prior to harvest, when the celery is still growing in the ground, it responds to stress by producing furanocoumarins in greater amounts. 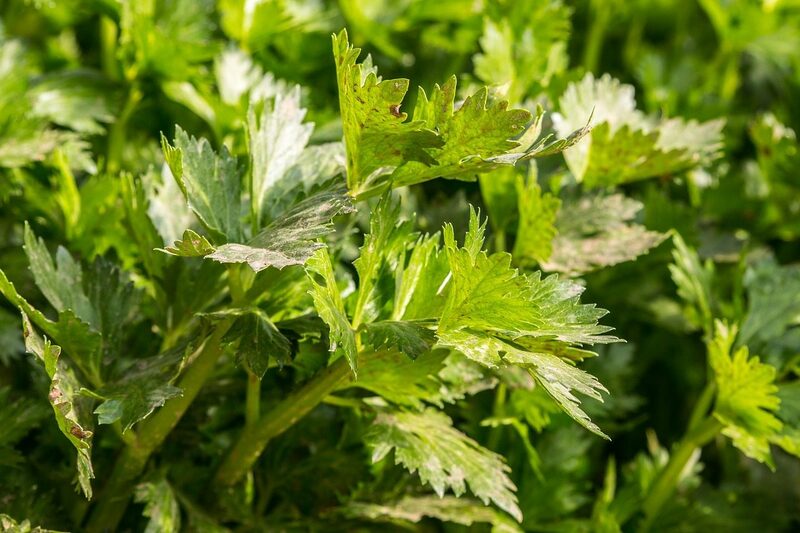 These substances help protect it in its natural living conditions, and even after the celery has been harvested and it is chopped up for use in cooking, it will still increase its production of furanocoumarins, and consumers will get greater amounts of these phytonutrients as a result.